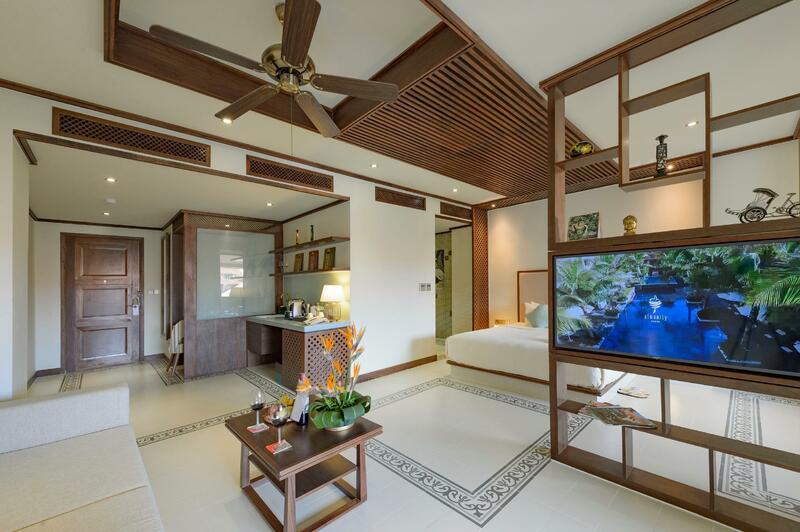 Sie haben eine Frage zum Almanity Hoi An Wellness Resort – Spa Inclusive? 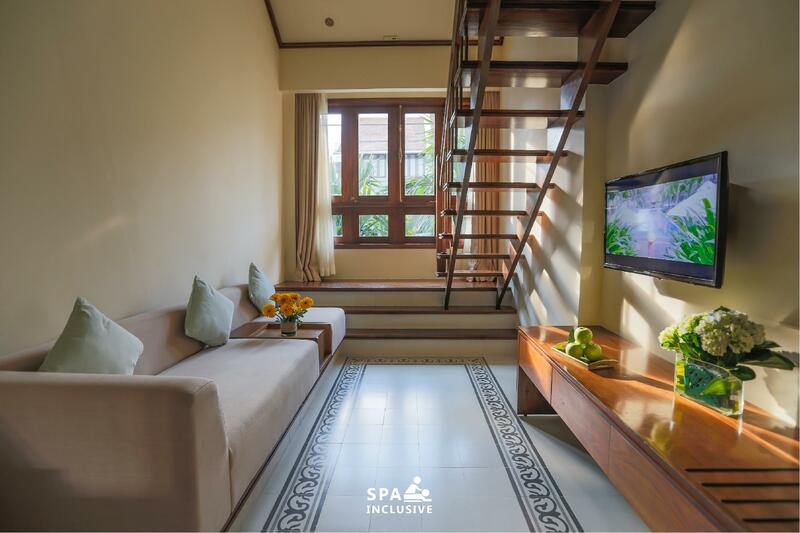 Bei einem Besuch in Hoi An werden Sie sich im Almanity Hoi An Wellness Resort – Spa Inclusive dank der hohen Qualität und des tollen Services wie zu Hause fühlen. Rund 1 km von der lebhaften Innenstadt entfernt, verfügt diese 4.5-Sterne-Unterkunft über eine ausgezeichnete Lage und bietet Zugang zu den wichtigsten Attraktionen der Stadt. Aufgrund ihrer günstigen Lage bietet die Unterkunft den perfekten Ausgangspunkt zu den wichtigsten Attraktionen, die man gesehen haben muss. Genießen Sie in Hoi An den unvergleichlichen Service und die Annehmlichkeiten dieser Unterkunft. Einrichtungen wie Gratis-WLAN im Zimmer, 24h-Rezeption, Express-Check-in/Check-out, Gepäckaufbewahrung, öffentliches WLAN und vieles mehr machen Ihren Aufenthalt so angenehm wie möglich. Alle Zimmer verfügen über eine Reihe von komfortablen Einrichtungen. In manchen gibt es auch Flachbild-TV, Wäscheständer, kostenloser Instantkaffee, kostenloser Tee, kostenloser Welcome Drink und weitere Annehmlichkeiten, die selbst den anspruchsvollsten Gast zufrieden stellen. Die Unterkunft bietet fantastische Einrichtungen (Fitnesscenter, Sauna, Außenpool, Innenpool, Spa uvm. ), die Ihnen dabei helfen, nach einem aufregenden Tag in der Stadt so richtig auszuspannen. 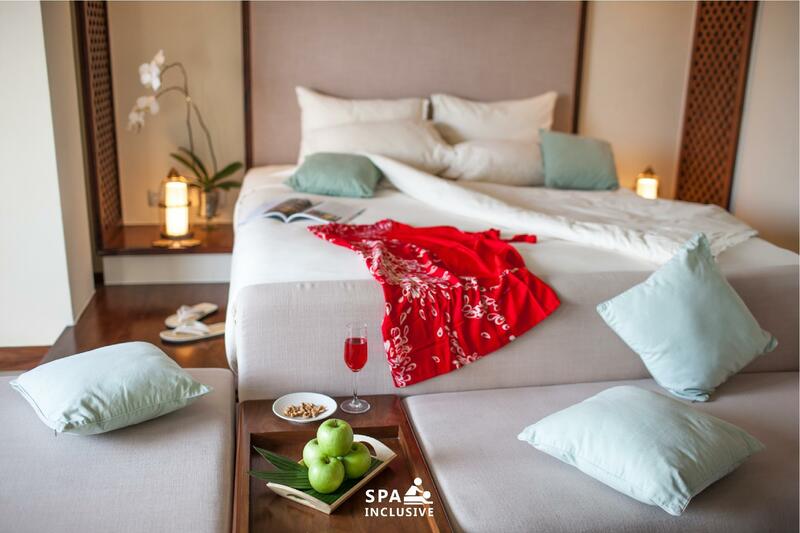 Das Almanity Hoi An Wellness Resort – Spa Inclusive ist ideal für Reisende, die eine charmante, komfortable und bequeme Unterkunft in Hoi An suchen. Für Kinder von 6 bis 12 Jahren kostet das Frühstück 50 % des Erwachsenenpreises, wenn kein extra Bett benötigt wird. Kindern von 6 bis 12 Jahren wird nur ein Zustellbett inklusive Frühstück berechnet. Kindern von 12 bis 16 Jahren wird ein obligatorisches Zustellbett inklusive Frühstück berechnet. Aufgrund der besonderen Art der Anlage, ist es nicht möglich Kinder in bestimmten Zimmerkategorien unterzubringen. Bitte beachten sie die einzelnen Zimmerbestimmungen für weitere Einzelheiten. Die Unterkunft berechnet eine Gebühr für das Galadinner am Weihnachts- und Silvesterabend für jeden Erwachsenen und jedes Kind. WOW. Fantastic resort to get away from the intensity of city life in Vietnam. This place is so peaceful. The resort is great and the staff are so friendly and helpful. Each time we were in the foyer, that would come up to us for a chat and to see if we needed any assistance with what we were planning for the day. They provided good information and locations of what we needed. The massages were a welcomed relief each day. A little more expensive than other hotels but well worth it. The highlight of our stay in Vietnam. We had a great stay at Almanity. Location was reasonably close to the old city, walkable or by short car ride. The staff were welcoming, friendly and attentive. The breakfast buffet spread was good too. 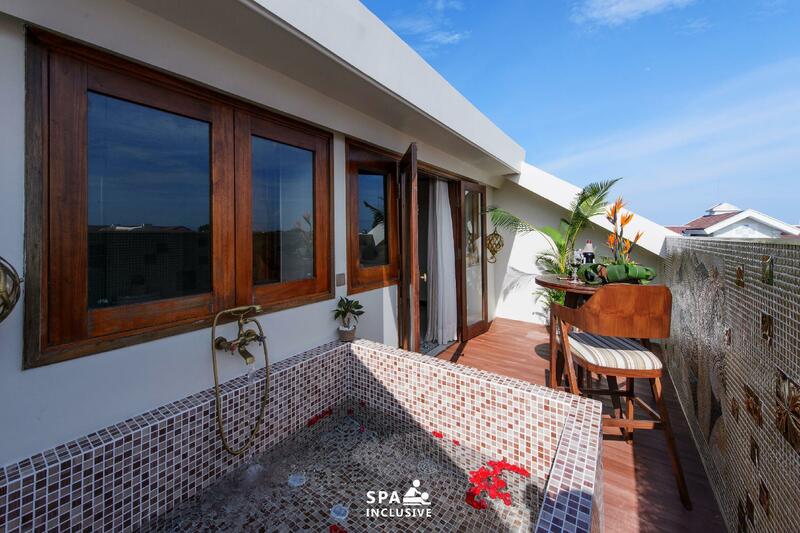 We would look forward to our daily pampering massage sessions at the spa which were packaged into the price of the stay. Great location - super facilities - very attentive team - easy walk to the old town of Hoi Ann .. WiFi not brilliant but everything else makes up for it ! Thoroughly enjoyed the stay and the massages were the highlight of our stay .. There were so many awesome service im here they welcome us sincerely and my sister especially liked welcome drink :) you can enjoy vietnamese tea 14:00, they have lots of activity, spa was also good enough, and breakfast was delicious! Thank you! Friendly and kindly treat us! We had made multiple purchases that actually filled an entire suitcase. We had causally mentioned it to the hotel receptionist. She offered to call the post office, have them pack up our stuff and mail it off to the states. It was 9 pm and by 10 pm we were done!! They can coordinate a private tour and when they say “no problem” they really mean it!! We got massages everyday we were there as park of our package deal!! Very happy and hope others can have the same experience we had. Highly recommend this Resort. The staff, Ly, who checked us in was amazing. She gave us many suggestions and helped us booked a couple of day trips organized by external tour operators, which were awesome. The hotel is a short 10 min walk (or less on a bicycle) from the old town. The room was comfortable and spacious. The stay comes with a massage session once a day. All round positive experience. Loved the spas really rejuvenating and serene environment . Healthy food. Excellent vegetarian options. We asked for a day tour and we were given very good service. Staff is very friendly and always helpful. This place is beautiful. Everything has that wow factor - the rooms, staff, wellness centre, food and definitely the pool. The pool has to be seen to be believed! As soon as the resort realised it was my partner’s birthday they also included a lovely small birthday cake in the room and a happy birthday message on the bed....above and beyond. Staff was incredibly friendly, service was great, facilities lovely. Recommend! Almanity was a good place. Room was clean and all the facilities were enough for staying 3 nights. The massage was free and great. Fitness center was enough to work out. Breakfast was good enough. Would recommend to all the visitors to hoi an. My 7 year boy love the loft unit where he can run up and down and the pool which has 3 levels, one for children, one about 1.3-1.5m depth and another of 1.6m depth. Breakfast was ok with mainly Asian dishes and I like their tasty porridge. Location is about 10min walk to the ancient town but like most hotels, bicycle are provided free. Free shuttle is provided to An Bang beach. The hotel is around a 10min walk to the old town area with a few shops right next door. The overall property was neat and well kept. Staff were polite and helpful, attentive all through....not sure if that's a plus of the low season. 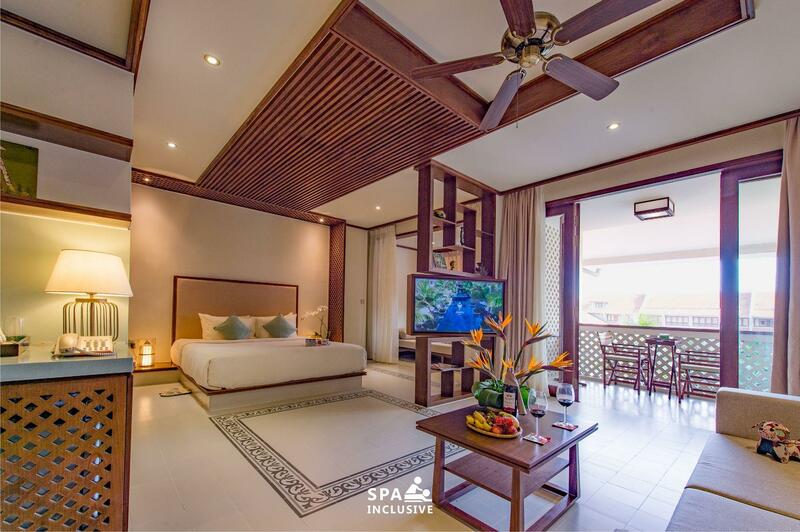 Room was spacious and very comfortable with all the usual amenities, lovely balcony overlooking the pool area. Breakfast spread had the normal western and local options, and again a plus of the low season that service was very quick Gym was a decent size with a mix of few cardio machines, weight machines and dumbells. The staff from our check in to our departure could not have been more helpful,the building design and decor lacks for nothing, the breakfast is plentiful,fresh and healthy. As CEO of an Australian organic company,I travel constantly through Asia on business and pleasure and I am very aware of what a successful dynamic company can do.These guys have nailed it on every level,what a beautiful place Hoi An is,and what a lovely experience it was to stay at Almanity. 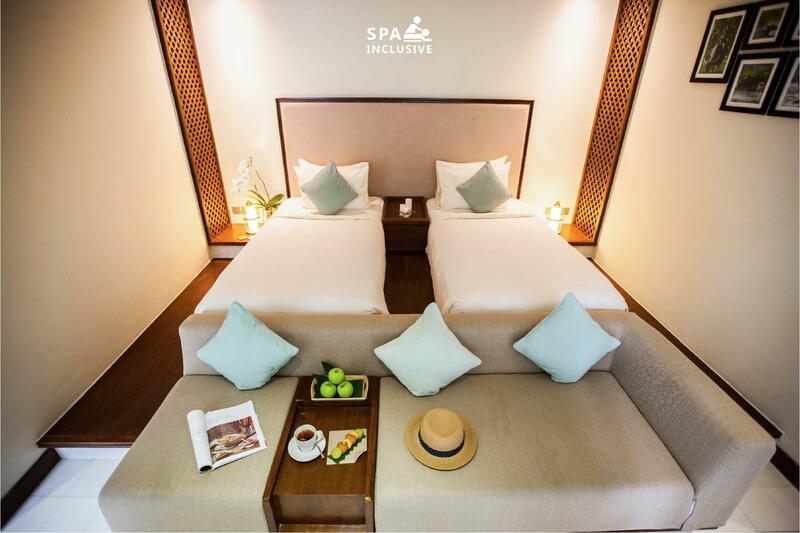 We have 2 couple and we spend 1 night in this hotel with Spa Journey included. Things are perfect from the room arrangement and the stuff. They are very friendly and upgraded our room for free . You can easily rent for free bicycle at the hotel and only takes 10 mins to the center of old street. Location is perfect and the hotel is very very match for relax purpose. In a bustling city we were so thankful to retreat to our peaceful haven after getting our fill of the busy city each day. We joined the complementary morning yoga classes, afternoon poolside tai chi when we were around and enjoyed the complementary hour-long massages. The breakfast buffet was unbelievable as well. 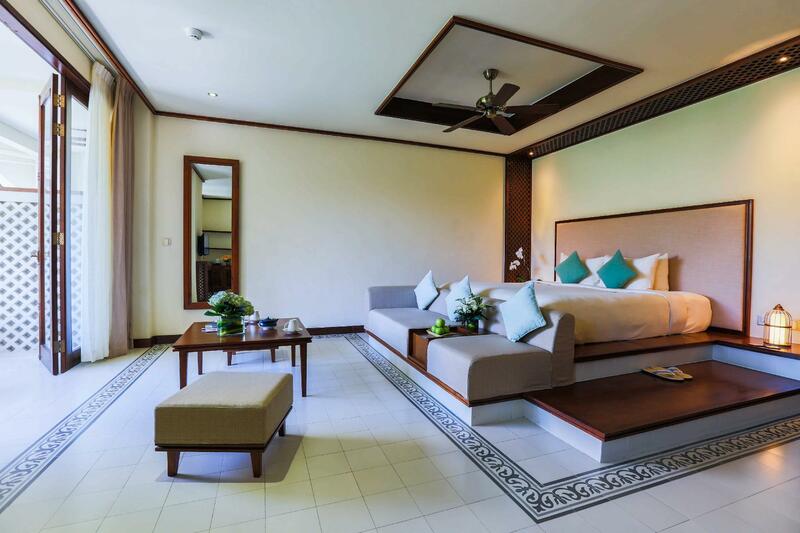 The staff was super friendly and the resort was well-maintained and very relaxing. We felt pampered and refreshed each day, it was quite the contrast from the busy life in the main city so we made a conscious effort to walk into town each day and get as much exposure to the wonderful people and city as possible. The walk into the old town and the night market is pretty quick (20 minutes) and very pleasant when it’s not too hot out, there’s lots to see and do, it’s a spectacular part of Vietnam!